The SpyderCo UKPK needs no introduction. It’s probably already being worn on the belts and in the pockets of some lucky people. If you are unfamiliar with this exceptional knife then let’s discover its uses together. The SpyderCo UKPK is a fantastic little penknife that can go with you almost everywhere and provide superb performance in a small but ergonomic package. For EDC (every day carry) use here in the UK it is ideal. 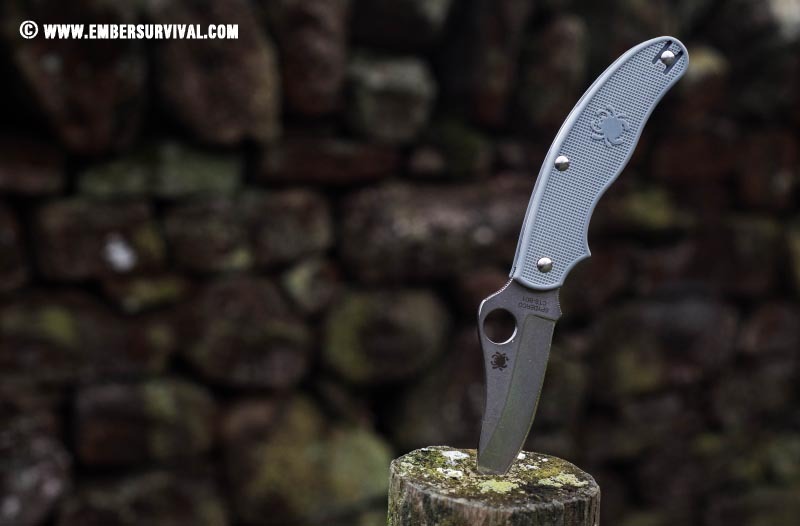 SpyderCo designed the UKPK to work around the UK’s knife law. The user can carry it most places and be relaxed that they are not breaking the law. As with most things in life a few bad people spoil it for the rest of us. The knife law in the UK outlaws a lot of options but this article is not concerned with discussing specifics to do with other type of knives. The SpyderCo UKPK features a non locking folding blade of under 3 inches which is acceptable to carry in public. A plethora of tasks demand a penknife. Generally worn on the person, clipped into a pocket or worn on a belt. This handy location means that the knife will see a ton of use during any day. So comfortable well thought out ergonomics are a must, especially in a penknife. 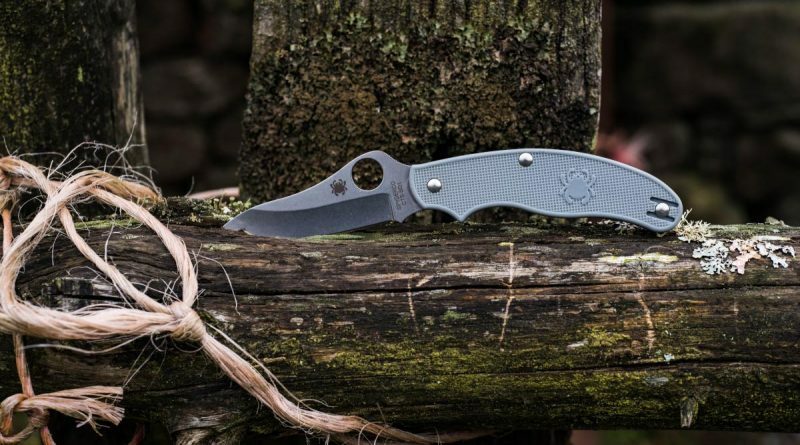 SpyderCo has chosen FRN to form the handle scales on the UKPK. Fiberglass Reinforced Nylon (FRN) is a thermoplastic material which is strong, abrasion resistant and can be injection molded into any shape. SpyderCo has put a textured square pattern on the UKPK along with their trademark logo. The result is a lightweight and tough handle but it does look and feel a little ‘plasticy’ and cheap. FRN does tolerate extremes of temperature and is warp resistant, so it’s not all bad news! 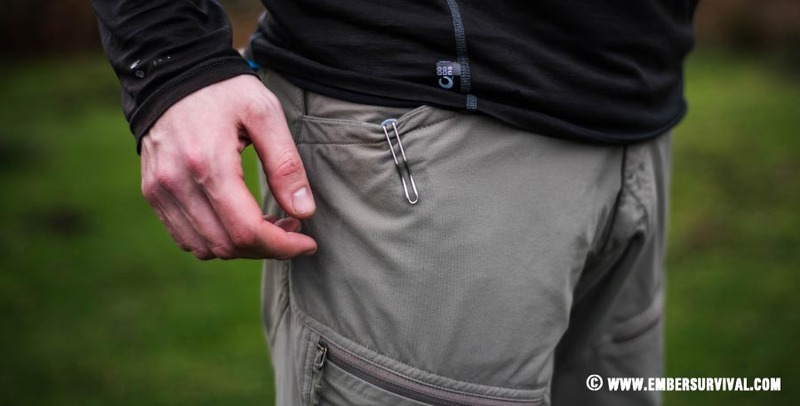 Left or right carry is achieved easily by swapping the pocket clip to whatever side you want. Strong metal forms the clip. This version of the UKPK is made of CTS BD1. A vacuum melted stainless steel that due to its manufacturing process has less unwanted inclusions in the structure. This makes for a blade with better characteristics that is also a more homogenous. The UKPK comes with a flat grind. The UKPK holds an edge well and has superb corrosion resistance. You may have to sharpen it more often than some more expensive knives but the CTS BD1 can be sharpened with a stone quickly. The UKPK is available with a leaf shaped blade, drop point and one version with CPM S110V, a higher grade steel. 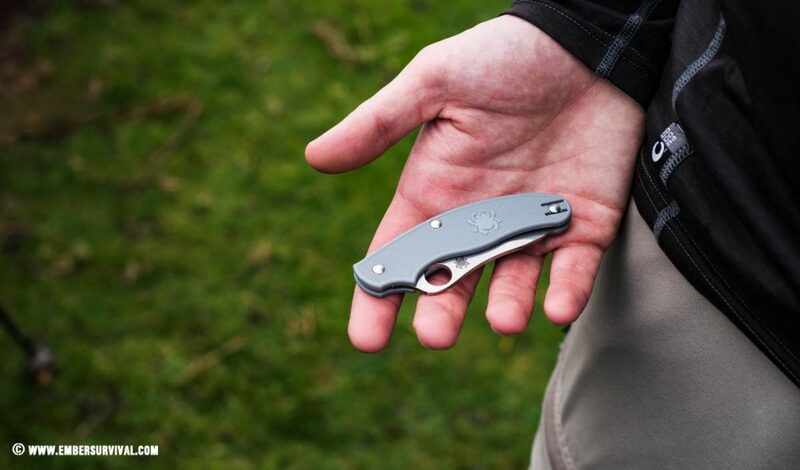 The SpyderCo UKPK is a non-locking, one-hand open, clip carry folder. They call them SLIPITS. So when you are out and about using the UKPK you can access and deploy the blade using only one hand. SpyderCo’s trademark hole is here and it works like a dream when it comes to opening the knife. Once open the drop point flat ground blade has impressive cutting performance and the edge stays sharp after a days worth of box opening, general tasks and cord cutting. The design of the handle and back section of the blade work together seamlessly. They give the user excellent control over the blade by allowing the index finger to sit in a choil beneath the thumb. The thumb has jimping all of its own and further aids control. A notched joint at the knifes pivot holds the blade open and closing the blade feels perfectly balanced. The belt clip is strong and holds onto cloth and most material well enough so you can relax that it wont fall out. A well made EDC knife should go completely unnoticed by the user as it melds into the background and only reveals itself when it is called upon. It should work with the user eloquently on commonly found tasks. The SpyderCo UKPK is all of these and more. The selection of high quality steel means you can keep using it for longer periods of time and retain that sharp edge. So the UKPK can stay in your pocket day after day and see you through a busy work schedule with high performance levels maintained throughout.